Valium is a benzodiazepine available as diazepam, and it is often prescribed to anxiety, panic attacks treatment, insomnia, and for the treatment of withdrawal symptoms present in many drugs addictions. There are many other benzodiazepines such as alprazolam, clordiazepoxide, clonazepam, estazolam, fluarazepam, halazepam, lorazepam, exazepam, etc., although diazepam or Valium is probably the most popular. In many cases it is also prescribed to treat the delirium tremens in alcohol abuse, as well as to relieve skeletal muscle spasms and epilepsy. Although Valium was introduced to replace barbiturates because it presents relatively lower abuse potential and relatively fewer adverse reactions, people may become addicted to this drug. Users normally develop a tolerance to the drug, and they need higher doses to become calm. Actually, about one-third of individuals that consume Valium for longer than 4 weeks become dependent and experience withdrawal symptoms upon cessation, and about 10 and 20% of the population in developed countries recognize benzodiazepines consumption. At the beginning it was thought that the side effects of benzodiazepines were not common. However, more recent studies show that between 5 and 35% of patients with clinical treatment with benzodiazepines feel withdrawal symptoms. An overdose of Valium presents several side effects such as blurred vision, impaired thinking and speech, liver malfunction, slowed reflexes, etc. and the combination of Valium with alcohol may lead to death. 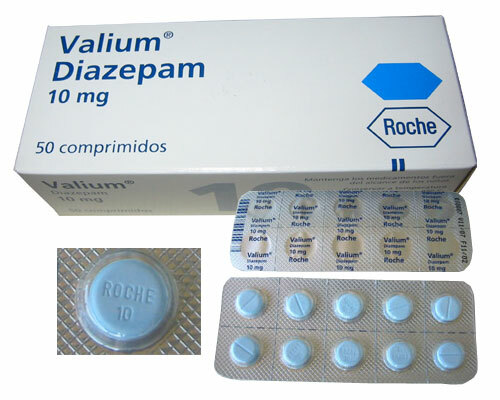 Valium’s withdrawal symptoms are very painful and withdrawal symptoms lessen with a reduction of dosage. The higher the dose and longer the consumption, the worse the withdrawal symptoms. The symptoms of diazepam overdose include drowsiness, mental confusion, hypotension, impaired reflexes, coordination, balance and motor functions, and coma. As with any other addiction, Valium abuse has social and economic effects on the addict, and is the cause of many problems in relationships and with other people of the family. One problem with the Valium addiction treatments is that the addict may suffer cognitive deficits for at least six months. For this reason, in many cases the treatments aren’t successful. Benzodiazepines can be classified in benzodiazepines with short mean lifetime and benzodiazepines with long mean lifetime. Diazepam is considered a benzodiazepine with a long lifetime and experts think that these benzodiazepines present fewer side effects when the patient stops using them. When a person became addicted to Valium a strategy to address the detoxification may be the substitution of the benzodiazepine for other one with a longer lifetime. Another possibility is a slow and gradual reduction of the dose. Actually, if the dose reduction program is long enough, the substitution of the benzodiazepine for another with a longer lifetime is not necessary. Generally, the first reduction decreases the dose by 50% and the following reductions are about 25%, and the period of adaptation is longer each time. If the reduction is not slow enough, other side effects may appear, such as convulsions, confusion and psychosis. Benzodiazepine’s mechanism is one of the best-known mechanisms. In general, benzodiazepines join to the benzodiazepinic subunit receptor of GABA. GABA is the main neuroinhibitor of the central nervous system. The binding sites of benzodiazepines were identified 15 years ago and many studies about the chronic effect of benzodiazepines and Valium administration have been carried out, however, the molecular bases are still unclear. For this reason, there is not any pharmacological alternative for Valium addiction treatment; this is an example that more research is needed in order to know more about their mechanisms of action to develop better and more efficient therapies.